This column is inspired by the work of best-selling author and motivation expert Daniel Pink. Professor Teresa Amabile of Harvard Business School has studied individual productivity, creativity, and organizational innovation for over three decades. In a landmark study published in 1993, Professor Amabile provides the fascinating account of an experiment. The experts evaluate that the 460 pieces are at a comparable level in technical terms. However, the experts rate the “non-commissioned” pieces of art as being significantly more creative than the “commissioned” pieces of art. This is a stunning revelation. Art is by default a creative process. Yet, the researcher can prove that art produced as a passion is more creative than art produced at someone’s request. Allow that finding to sink in for a minute. Most of the work in organizations is “commissioned.” The Board of Directors, the leadership team, or an executive committee decree that members (employees) pursue a certain goal. Revenue targets are fixed, product or territory sub-targets are finalized, budgets are set, and people are expected to deliver. The result is obvious. There is an extraordinary focus on the now, the short-term, and a near-obsession with numbers. Is it any surprise that organizations expend most of their resources on incremental, sustaining, and efficiency innovations and almost never on market creating or radical innovations? Organizations are structured for mediocrity – technically sound, but hardly anything to write home about. 3M is synonymous with innovation. With over 60,000 products and 300 new products every year, 3M is a powerhouse of creativity. What is the secret of this phenomenon? Decades ago, 3M came up with what everyone thought was a crazy idea. The company declared that innovation is everyone’s business. Everyone in the organization could expend 15% of their time and the organization’s resources to pursue anything they wanted. The only condition was that if the pursuit resulted in something viable, the first shot at commercialization should be given to the company. The “inventor” would receive a “royalty” as a perpetuity. Thus, many of the blockbuster products have come not from R&D but from ordinary employees. 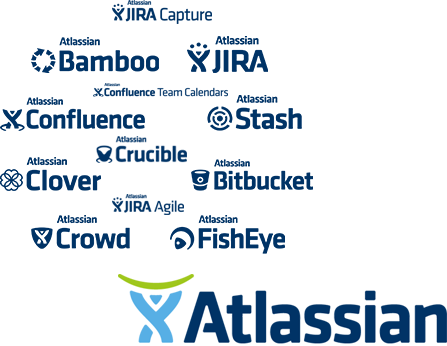 Atlassian is a software company headquartered in Sydney, Australia. Founded in 2002, the two co-founders are CEOs and the company employs over 2,000 professionals. Each quarter, the employees are free to devote a day to do anything they want. That does not sound much – just four days per year per employee. The results are beyond comprehension – more creative and more profitable solutions have been generated during the four days than during the rest of the year! Will someone please explain this paradox? Intuit is a business and financial software company that develops and sells financial, accounting, and tax preparation software and related services for small businesses, accountants, and individuals. As of November 2, 2017, the company has a market capitalization of $38.92 Billion and its stock is being traded at a P/E ratio of 40.61. Consistently ranked among the Best Companies to Work For, Intuit is ranked No. 13 in 2017. Where do you think the engine of innovation is at Intuit? Employees at all levels are free to use 10% of their time to do anything they want. Innovation after innovation have come from this 10% chunk of time. Now that we have seen three organizations where innovation is a direct result of “non-commissioned” work, can we also look at how this plays out at the level of the individual? Sir Andre Konstantin Geim and Sir Konstantin Sergeevich Novoselov won the Nobel Prize for Physics in 2010 for “groundbreaking experiments regarding the two-dimensional material graphene.” The latter, at 36 (in 2010) is among the youngest to win a Nobel for Physics. How did they achieve the breakthrough? During the Friday evenings that they could use the laboratory – not part of any funded research, not part of any publication, but a part of what they did “after work” as a part of their passion. I should note that in their acceptance speech, they had a self-depreciating but illuminating experience to share: “Over 90% of what we did failed.” Does that sound familiar? That is what Edison said, and Einstein. Daniel Pink’s argument is profoundly simple. You don’t get breakthrough ideas through “commissioned” work. Organizations and leaders who wish to unleash the next wave of radical innovation need to look at “non-commissioned” work – people working autonomously on something dear to them, not because someone has asked them to do it, but because they love it. Sure, many of the experiments will fail. The few that succeed will propel your organization beyond your wildest imagination. The question is: “Are You Ready?” (with apologies to H.H. The Pope).